VIETRADE - Implementing the 2015 National Trade Promotion Program and the Agreement for Cooperation between the Ministries of Industry and Trade (MoIT) of Vietnam and Laos, Vietnam Trade Promotion Agency, in collaboration with the Asia-Pacific Department of Vietnam’s MoIT, Vietnam’s Trade Office in Laos, the Commodities Promotion and Development Agency under Laos’ MoIT, organized the Vietnam-Laos Trade Fair 2015 from 2-6 July 2015 at Laos International Conference and Exhibition Center, Vientiane. Vietnam - Laos Trade Fair attracted participation from Vietnamese and Lao businesses with nearly 200 registrations for products display in over 300 pavilions. Vietnamese display space, with 120 stands of 94 businesses, introduced a wide range of high-quality “made in Vietnam” products of strong and prestigious brand-names, including pharmaceuticals and medical equipment, industrial machineries, agro-, forest-, aqua-products and processed foods, garment and fashion products, fine art and handicraft wares, indoor and outdoor decoration, plastics, and consumer appliances…. Addressing at the opening ceremony, Deputy Minister of Industry and Trade Nguyen Cam Tu said that the trade fair is an opportunity for Vietnamese businesses to promote their brands and study the market and consumer demands, thereby setting up a network to distribute goods to Laos and Northeast Thailand. It is also a platform for introducing Vietnamese businesses’ potentials and strengths on one hand and the business environment and investment opportunities in Laos on the other, as well as for promoting Vietnam’s national image. Laos Deputy Minister of Industry and Trade Somchith Inthamith said that the fair will be an effective bridge for Vietnam and Lao businesses to meet, exchange experience, transfer technology, make investment and establish partnership, which, in turn, will help businesses of both countries to strengthen their competitiveness in preparation for the introduction of ASEAN Economic Community later this year. After the opening ceremony, Vietnam Department of Trade Promotion and Lao Department of Commodities Promotion and Development signed the 2015-2016 Cooperation Agreement. Under the agreement, the two departments will jointly organize annual Vietnam - Lao trade fairs in Vientiane, Laos (the 2017 fair is scheduled to be from 1-5 July 2017). Both sides will cooperate to invest more on the content and preparatory work, and particularly on promotion, so that future trade fairs will respond better to the demands of the two countries’ businesses. At the request of Laos Commodities Promotion and Development Agency, Vietnam Trade Promotion Agency will provide support for Laos major exporters to attend Vietnam Expo 2016. 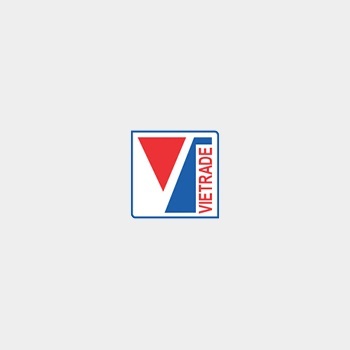 For other exhibitions and trade fairs in Vietnam, Vietrade will work with concerned agencies to provide free stands for Lao businesses. A few other agreements and contracts were also signed on the sidelines of Vietnam - Laos Trade Fairs 2015, namely the Agreement on Supporting Businesses between Yen Bai Province’s Department of Industry and Trade and Vientiane’s Department of Industry and Trade, and the contract for the purchase of DEKKO brand plastic pipes and fittings, and equipment supplies for the water sector that totaled 500,000 USD between Phuc Ha Investment and Development Company, Vietnam and Xaignavong Corporation, Laos.